One of the most important things to remember is that the "eight glasses a day" rule isn't for everyone. For example, if you are very overweight or you get a lot of exercise, you may need more than eight glasses. As you know if you live in Colorado, water requirements are greater at high altitude. Because the air is dry in Colorado, newcomers often don’t realize the amount of water their bodies are loosing through perspiration and so they find out the hard way that they need to drink more water. Likewise, people who work outdoors in extreme heat may also find that eight is not enough! Never feel like you have to change all your habits immediately and start drinking dozens of glasses of water each day. It's hard to change a habit, so take it slow! But take heart, it’s easier to make a new habit than it is to break an old habit. Begin adding a glass of water here and there throughout the day as you go through your routines. For example, while you’re waiting on your morning pot of coffee to brew, grab a glass and drink a few ounces of water before you do whatever it is your habit to do while waiting on the coffeemaker to work its magic. Work in a few ounces here and there throughout the day while building it into your routine and before you know it your water consumption will go way up. 2. Do you really want that soda? When you are about to order a soda consider the pros and cons. Does soda help your body in some way? Sure, it may give you a sugar rush or caffeine high, but it is also full of unnatural sweeteners like Aspartame, dyes and too much carbonation. At least with water, you know exactly what you're getting; that is, if you drink purified bottled water or spring water. It is something your body actually needs to help it flourish. Make water accessible by purchasing a home water purification system. This doesn't mean you should run out and buy a Brita water pitcher. 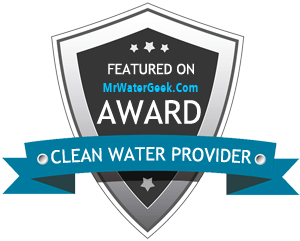 Consider the benefits of a free-standing, self-filling water purification system that provides ice cold or piping hot purified water, instantly. Plan ahead. Don't just make water accessible in your home. If you know you will be out and about all day, or stuck at a desk somewhere, pour yourself a big "to-go" bottle and drink it throughout the day. There are so many new types of water bottles and thermoses on the market today that you’re sure to find one that is convenient for your lifestyle. Once you start doing this, you will wonder how you ever went anywhere without it! Drinking water all the time can become a bore, so find some ways to spice it up. We've all heard of water with lemon, but why not water with oranges, pears or another favorite fruit? Watermelon chunks. Another refreshing and different idea is to add cucumber. Whatever keeps your taste buds from yawning will keep you drinking more water. Did you know that drinking cold water burns more calories than drinking it at room temperature? It takes energy for your body to regulate the temperature. Cold water is also more refreshing on a hot day. If you tend to forget to drink water, don't worry, you can always set a reminder on your smartphone for every other hour, which tells you it's time to get up from your desk and walk to the water cooler. This may sound a bit ridiculous, but it helps establish a healthy habit. I'm not the first one to think of this either. There are plenty of apps that you can use that set the timer for you. Anything from cute virtual plants to a graph-like design that tells you how much water you've had and how much you need. Did you know that tomatoes and watermelon both consist of more than 90 percent water by weight, not to mention they are healthy and delicious? The foods you eat can help provide for a significant portion of your fluid intake; about 20 percent on average. Not only will you drink more water, adding a little heat to your means helps kick your metabolism up notch so you’re burning more calories. Bam. Beverages such as milk and juice are composed mostly of water. Even beer, wine and caffeinated beverages — such as coffee, tea or soda — can contribute, but they shouldn't be a major portion of your daily total fluid intake. Pure, inexpensive and calorie-free water is still your best bet. What does it mean to be safely hydrated? According to the Mayo Clinic's web site, if you drink enough fluid so that you rarely feel thirsty and produce 1.5 liters (6.3 cups) or more of colorless or light yellow urine a day, your fluid intake is probably adequate. However, if you are concerned about your fluid intake or have underlying health issues, check with your doctor. He or she can help you determine the amount of water that's right for you. To ward off dehydration and make sure your body has the fluids it needs, water should be your beverage of choice. It's also a good idea to drink water before, during and after exercise, and drink a glass of water with each meal, as well as in between meals. Although it rarely occurs, it is possible to drink too much water. When this happens, your kidneys are unable to excrete the excess water and the mineral content of the blood is diluted, resulting in a condition called hyponatremia. Endurance athletes, such as marathon runners, who drink large amounts of water, are at higher risk of hyponatremia. In general, though, drinking too much water is rare in healthy adults who eat an average American diet.